Living in North America, it’s an ongoing challenge to resist our culture’s constant influences to live for ourselves. We think by focusing on ourselves we’ll find joy. But Scripture paints a different picture of joy, tying it to worship and thanksgiving. This kind of joy isn’t just a happy feeling. It’s supernatural in its power. Real joy is the result of focusing on God … His loving and holy character and His faithfulness in fulfilling all His promises. We are given the choice to trust and worship Him, being thankful for all His is and has done. When we choose to do this as Christians, we find joy. It isn’t a “formula” – it’s a process we see revealed over and over in Scripture. By our obedience (trusting and worshipping) supernatural joy is released into our lives. As His children we’re invited to embrace and enjoy all of God’s qualities. He is the loving heart of Emmanuel (“God with us”). All that He offered through the example of His life and ministry on earth, culminating in His sacrifice for us on the cross, produces in us a well of inexpressible and glorious joy that bubbles up and spills over on others. Peace and joy often appear together in Scripture. There are many examples of how supernatural joy is given in the midst of suffering, pain, and sorrow. We can be encouraged by the simplicity and power of Jesus’ invitation to us to simply “ask”. When we ask, our Savior (along with the Holy Spirit) gives peace and joy to us in moments that humanly don’t make sense. His joy can alter our experience, transforming it from the natural to the supernatural, and give us strength to persevere. What a wonderful gift. Paul and John both wrote about their love for other believers in the body of Christ. As they faithfully served together cross culturally as ministry partners, starting churches and ministering to the needs of those around them, their love for one another increased and produced joy. “Joy in the faith” follows obedience and sacrifice for the Lord’s work. 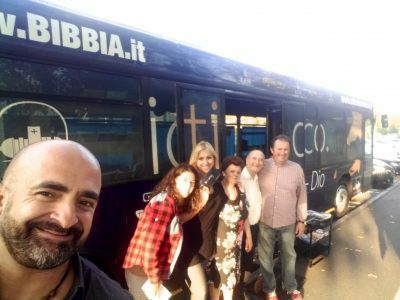 Our ACCI team member Salvatore Capritti and his team flow in a very similar fashion while faithfully serving together in Italy with REM Ministry. They are embracing what the angel said to the shepherds long ago, that the good news of great joy, of our Savior Jesus’s coming, would be shared with all people! 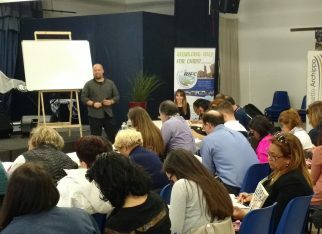 With their commitment to the Lord’s calling, Salvatore and his team have united in obedience, trust, and faith and are currently working toward a new vision in Italy. REM mission was started a few years ago and has already purchased 3 buses that have been converted into free coffee shops with libraries and prayer rooms. The buses are used in evangelizing unreached towns throughout Italy. Recently Salvatore (Salvo) and his team began praying for God to expand their territory of service by revealing more possibilities for evangelism. 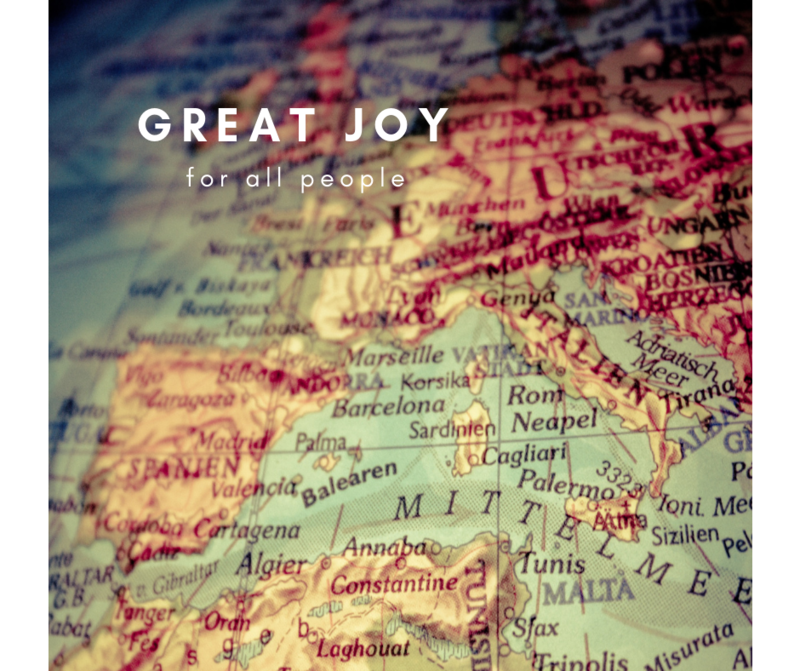 In response, God ignited their hearts to begin planning to reach out to the 189 major Italian Mediterranean islands (and perhaps hundreds of inhabited smaller islands) surrounding Italy. Most of these islands have never been reached with the Gospel of Jesus Christ. REM’s vision is to buy and prepare a ship large enough to carry 20 to 30 people and yet small enough to reach the smallest of the islands. The boat will be used both to house and prepare (8) missionaries and volunteers for doing personal evangelism. They envision having a small onboard library for discipleship and Bible study, a dining room, and a small conference room. The cost is 25,000 Euros. 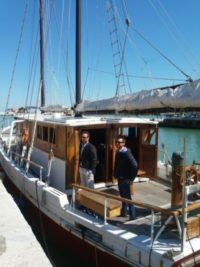 10,000 Euros have already been provided by the Lord, so they are praying for the provision of the remaining funds of 15,000 Euros to complete the boat project. Their hope is to begin their pioneer ministry by early 2019, traveling throughout the islands for 6 months to 1 year.